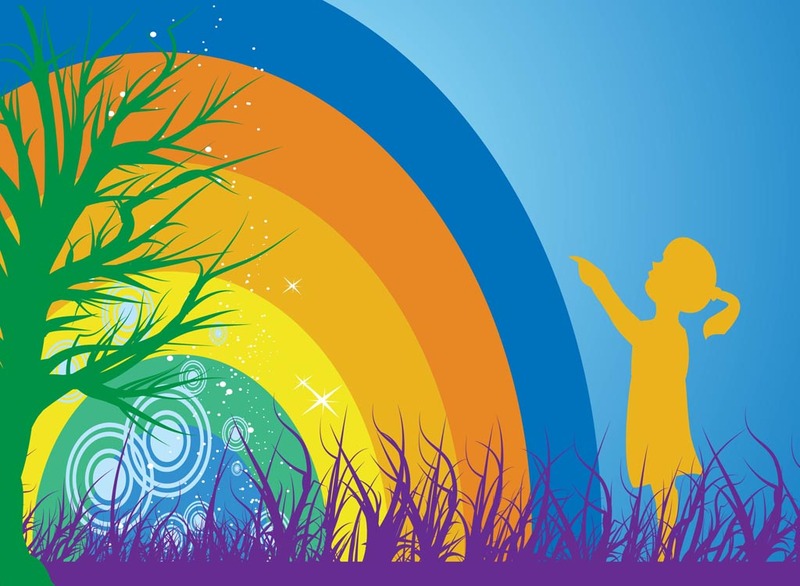 Wish me a rainbow vector art illustration of young girl in dream landscape with tree, long grass, swirls and rainbow. A rainbow is rare as wishes, but many people believe that if you make a wish when there’s a rainbow or falling star, then your wish will come true. Beautiful vector artwork of little child wishing for happiness and a better world. Tags: Child, Dream, Dreaming, Girl, Grass, Little, Rainbow, Stars, Tree.